The Presbyterian Men’s Organization seeks to foster the spiritual development of the men of our church by establishing and/or building upon individual knowledge of the Scriptures. We also desire to enable each man to develop a closer relationship with God and Christ, with a deeper understanding of our Lord’s guidance and the impact on our lives. As a wonderful consequence of the fellowship involved with our journey, we develop friendships through our regular meetings, social events, prayer, study and volunteerism. The official name of the organization is Bayside Presbyterian Men's Organization (BPMO). All men of the church are automatically members of BPMO. Men who are members of other churches can request to be a member, and will be gladly accepted. Weekend meetings take place every other Saturday at 0730, lasting about an hour. The men enjoy a hearty breakfast and fellowship, and then primarily conduct a bible study. Our bible study recently started the book of Acts – after having just finished Luke. We have a weekday meeting as well, holding them twice a month. This meeting starts at 0745 and ends at 0900. We enjoy a light meal with coffee. We enjoy fellowship and most of the time we have a meaningful discussion on biblical or church related topics from about 0820 to 0850. The topics are whatever the attendees need to advance their spiritual development and/or help them better understand God’s plan through Christ within our daily lives. 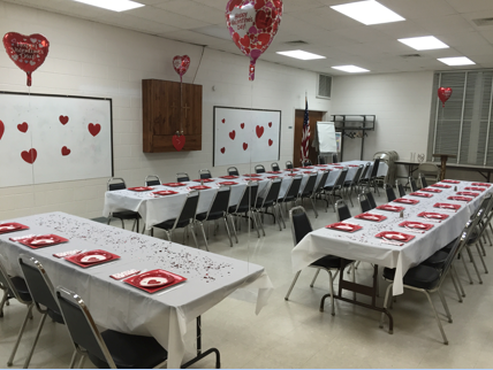 Other events which have been - and continue to be - celebrated by the BPMO include a Valentine’s Day Breakfast, a reenactment of Peter/Paul, Man of Faith recognition, and the annual golf tournament - where proceeds are donated to the Youth Mission Trip program. We also prepared breakfast/brunch/lunch for several church events throughout the year. 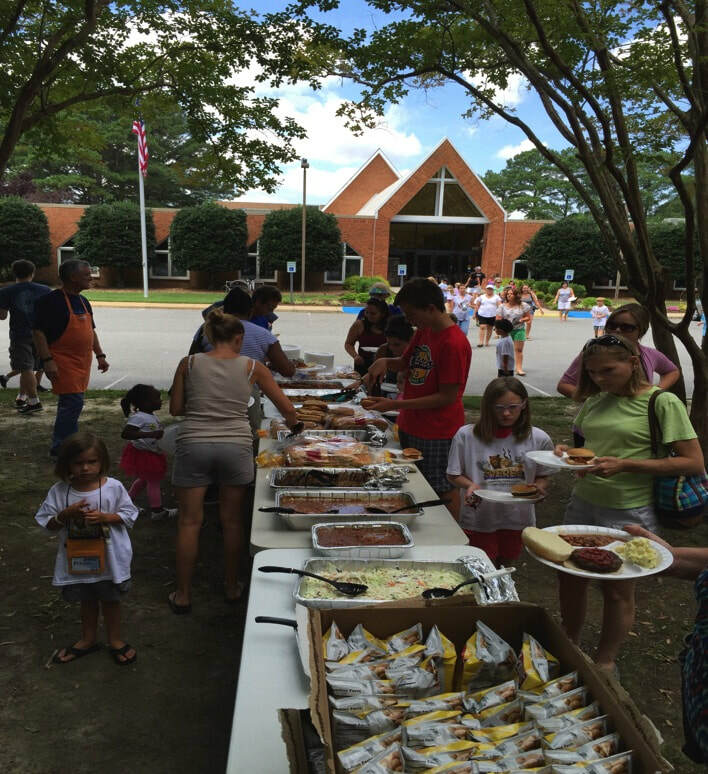 We participate in many more support events for various efforts throughout the church. BPMO has provided financial support for Eagle and Gold Scout projects as well as Massanetta Springs, the Salvation Army and numerous other activities. There is a BPMO information bulletin board outside the kitchen area. All men of the church as well as visitors are welcome to join in the various activities and may attend a meeting at any time. For more information, please contact Ed Spillman, espillman1@cox.net. Click here to view the BPMO Calendar.